 Wondering what happens when you visit the Stampede City Chorus (SCC) and how you become a member? Read on! When you visit a SCC chorus rehearsal, our director Chris or a music team member will voice place you. That simply means he will listen to your voice and determine your most comfortable range. Then you join us on the risers, standing next to a member singing the same part. ( Tenor, Leas, Baritone or Base) You will be provided with a guest music book. Tenor, Lead, Baritone, or Bass. Tenor is a harmony part sung consistently above the lead. The tenor should have a light, sweet, pure tone that will compliment but not overpower the lead voice. Baritone covers approximately the same range as lead. The baritone harmony notes cross the lead notes; sometimes sung below and sometimes above. Bass singers should have a rich, mellow voice. After a few weeks, when you’re comfortable with one of our songs, you can audition for membership. But don’t worry; you don’t have to sing all alone. You will sing with other chorus members to form a VLQ (very large quartet) so you will not be singing your part by yourself. This will help you feel more comfortable. After passing your audition, a new member is partnered with a long-time member for support. Members will work with you to quickly learn our songs. Everyone is willing to help, and soon you’ll be helping a new member yourself!